Russian-Japanese JV supplied 1.5 tons of vegetables to local retailers. JGC Evergreen, a Russian-Japanese agricultural company, which built a greenhouse complex in the Khabarovsk priority development area, has delivered its first batch of vegetables (1.5 tons) to Khabarovsk retailers. 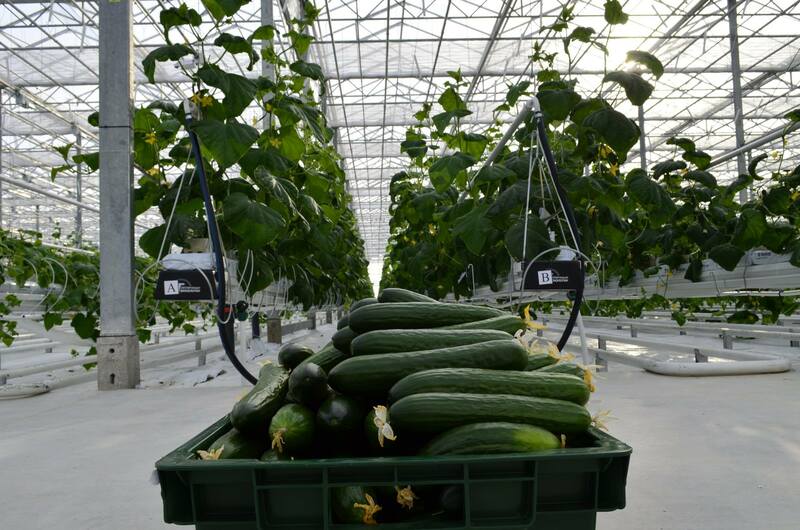 The greenhouse complex produces around 5 tons of cucumber a week. JGC Evergreen tomato plant growing process. The company, which has signed contracts to supply its products to restaurants and cafes, plans to supply vegetables to the Khabarovsk central market. “We get preferential treatment as a resident of the priority development area, which gives us a good opportunity to promote our business," JGC Evergreen Chief Executive Tomoyuki Igarashi told the paper. JGC Evergreen is the first foreign resident of the Khabarovsk priority development area. Japanese holding company JGC has an 82.2 percent stake in the venture, with Energo-Impuls-Plus, a Russian private company holding a 17.8 percent stake. The company is constructing a massive greenhouse at a cost of 2 billion rubles ($3 million). The greenhouse, which occupies an area of 2.5 hectares, will be expanded to cover 10 hectares. Its production capacity is expected to reach 70 kg/sq.m per year.